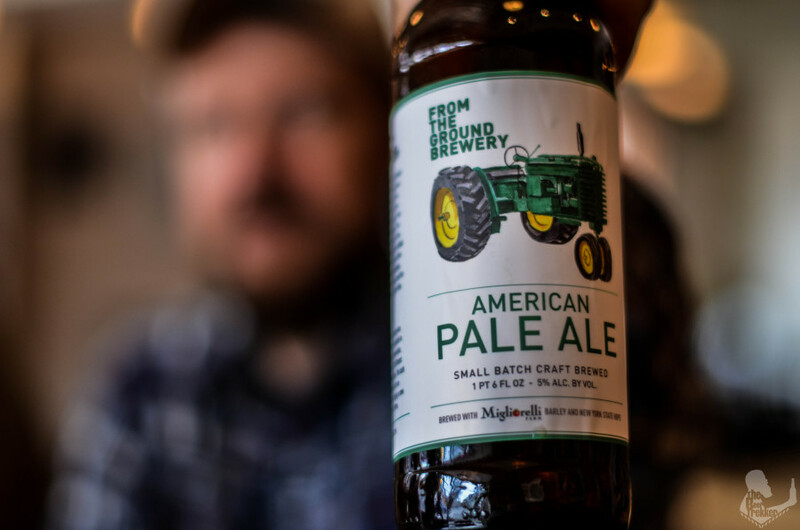 From The Ground Brewery is a labor of love for Jakob Cirell, owner and brewer. A mechanical engineer by trade, Jake pursues his passion brewing at the Migliorelli farm in Red Hook, New York. Hudson Valley ingredients and produce from the Migliorelli Farm play a starring role in Jakob’s beers. What’s most extraordinary about From The Ground brewery is its small-batch operation. As a one-man operation, Jake’s hands are in every step of the making process. The beers can be found at Hudson Valley restaurants and bars, local farmers’ markets and a couple of farmers’ markets in New York City. 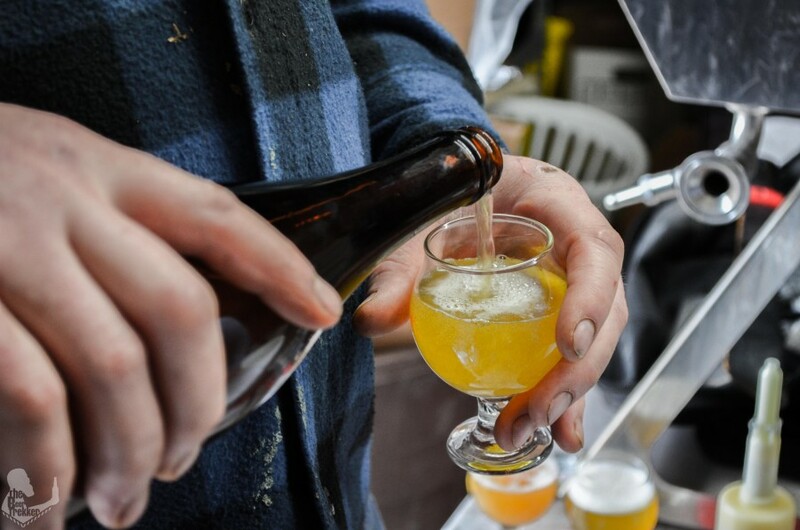 The farms in the Hudson Valley region of Upstate New York increasingly supply local breweries with the fine ingredients required to brew world-class beer. 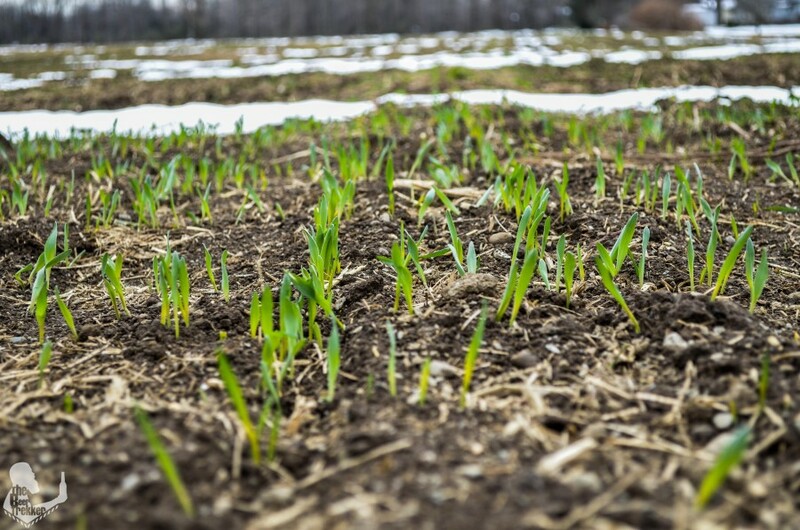 In 2013, the Migliorelli Farm, a third generation family-owned operation that specializes in vegetables and fruits, began growing barley with brewers in mind. Ken Migliorelli runs the show at the farm and shared the rich history about his family’s farming practices with us. Barley has been both an investment and a passion project, and Ken has an expansive vision for it in the years ahead. After the grains have been selected and harvested at the farm, the next step in the beer making process is to allow the grains to germinate by soaking in water. Then, they are halted from germinating further by drying with hot air. This process is called malting. Dennis and Jeanette Nesel converted part of their horse barn into a malting facility a year ago. They convert the barley into malt the way it was done over a hundred years ago. 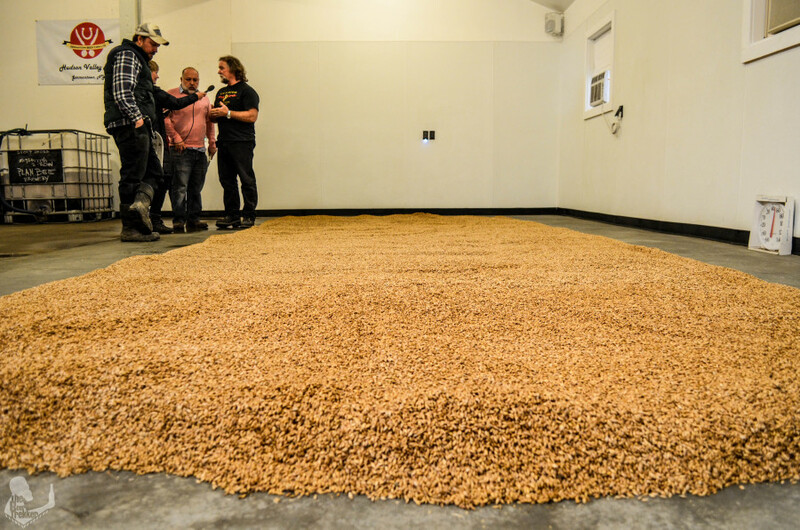 Mr. Nesel likes to refer to the process as “old-school heritage malting”. The husband and wife team have been working very closely with local Migliorelli Farm and From the Ground Brewery in a beautiful symbiosis. Opening a brewery is no easy task; it’s a gigantic endeavor with many things that are out of the brewer’s control. Dan and Taylor Suarez are facing all of these obstacles, but that has not changed his calm nature even a little bit. We met Dan and Taylor at their brewery and tasting room. Together they have been working hard for the past year to get their space up and running and sorting out unexpected delays. Taylor has been taking care of the operations and business part of the brewery while also attending to her own company, Good Food Jobs. 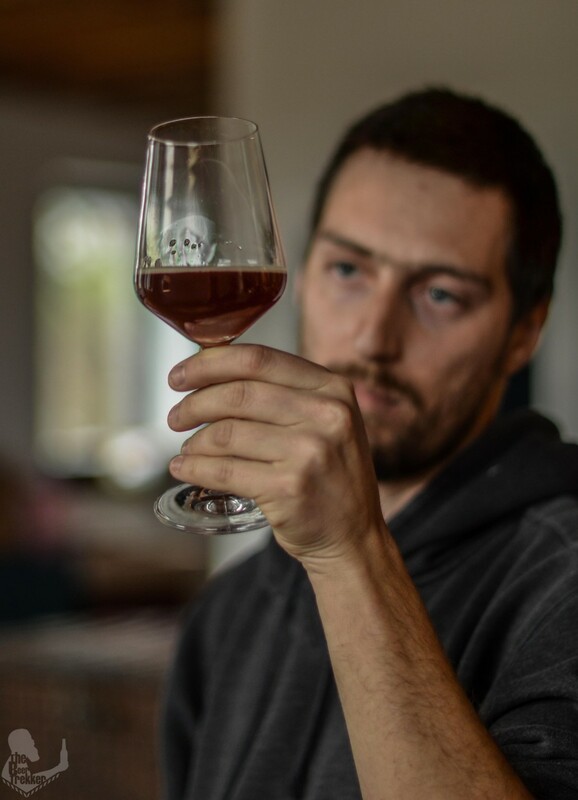 Dan’s reknowned in the beer world through his experience at breweries such as Sixpoint Brewery in New York City, Hill Farmstead in Vermont and OEC in Connecticut. His brewery, opening this summer, is highly anticipated. Located inside a barn built almost 200 years ago in Poughkeepsie, New York, we arrived to Plan Bee Farm Brewery’s 25 acre farm. Everything grown on the farm is used to make Evan and Emily Watson’s beer. Equipped with a 10 barrel brew house, they have been brewing their beers since October 2015 in their new home. Evan and Emily are a husband and wife team who specialize in farmhouse ales, or as Evan likes to call them “Barn Beer,” as well as coolship or open fermentation beers. Evan and Emily Watson are the owners and masterminds behind Plan Bee Farm Brewery. Evan is also an accomplished musician and has toured with Heart and Def Leppard. He named his brewery both after the bees that provide the microflora open fermentation for his beer as well as the fact that beer-making was a second choice career path for him. Daughters Fare and Ale is a culinary partnership between Ryan and Rachel McLaughlin, local restaurateurs offering simple, delicious food and a lineup of seasonal, locally-brewed craft beers. Ryan and Rachel share a background in the culinary industry, having worked in several well renowned restaurants in New York City before making the move to the Hudson Valley. They both appreciate good beer and thoughtfully select a short, solid draft list that is constantly in rotation. Valuing their community, Ryan and Rachel source foods for their restaurant from Hudson Valley producers as often as possible. They’re committed to buying from neighboring farmers and maintaining relationships with nearby brewers to serve their beers fresh, on draft. Daughters Fare and Ale is an ideal gathering place for locals and passers-by to gather around the table for a nice meal and to sit back and enjoy a beer or two. It has a friendly, welcoming vibe that has a way of making everyone feel right at home. 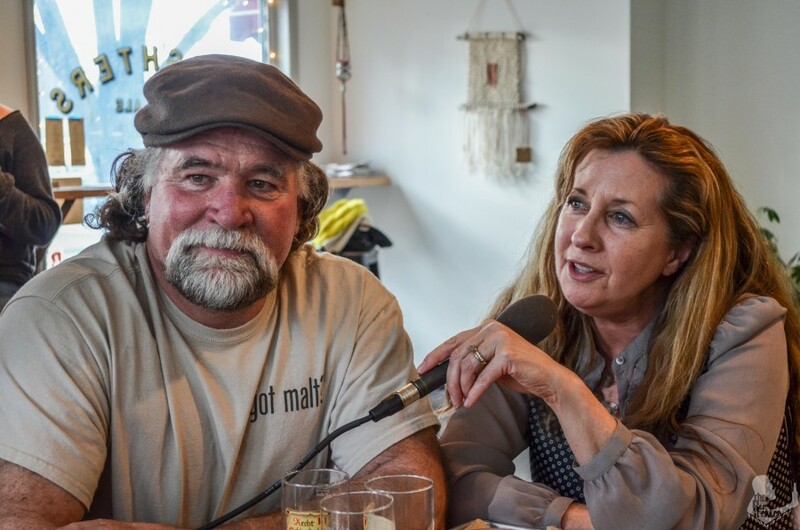 Episode 440 | On the Road with Beer Sessions Radio: Edge of the Wild!